SM Lawrence Electrical Installations are a trusted electrical company based in Coggeshall, near Braintree and cover most of Essex and London. We have created a successful local company by focussing on exceptional customer care and high-quality electrical work. 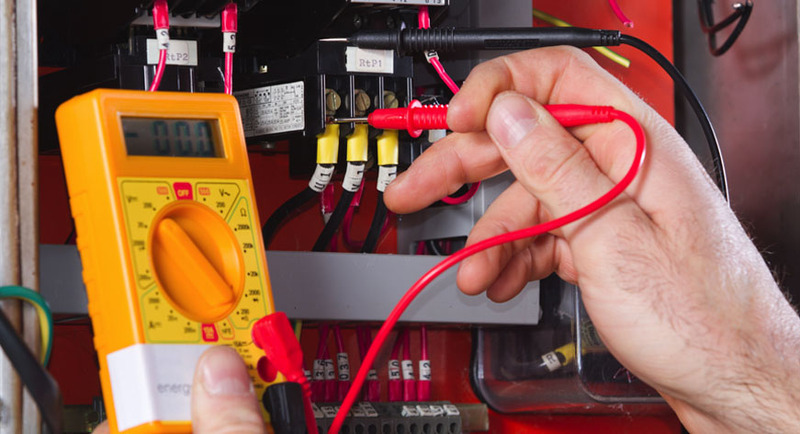 We cover all types of electrical work for the home, office, factory or retail premises. We are an ELECSA approved contractor, meaning we have been vetted for our safety and professionalism when undertaking electrical work. This assessment is approved annually, so you can be assured of high-quality work whenever you call upon us. As members of the ECA, the organisation representing the best in electrical engineering and building services, we understand the importance of high standards in electrical work. Our customers are also reassured that we are members of TrustMark for local tradesman – meaning we are trustworthy, reliable and operating to Government Endorsed Standards. We are also listed on Checkatrade.com, we pride ourselves on honest feedback from customers. We never forget that you have a choice and word-of-mouth is very important to us. That is why we always strive to provide high-quality electrical services at affordable prices. We rely on repeat business and recommendations from others, so we always go that extra mile to ensure complete satisfaction to our clients. Just give us a call for any type of electrical work. We are happy to visit your premises to assess and recommend the best way to proceed. We will then submit a no obligation quotation.